On 1 June 2017 Davis Dyslexia Association Africa will run a four-day Gift of Dyslexia workshop in Johannesburg, South Africa. The cost per person is ZAR 7 700.- (with light lunch and break-time snacks included) and can be paid by EFT. Payment instructions will be emailed after registration is completed. The workshop is presented by Axel Gudmundsson, director of Gifted Dyslexic and Capella House school. He has been a Davis facilitator since 2003 and a Gift of Dyslexia workshop presenter since 2011. Since licensing, Axel has run one of UK's busiest Davis practices, and still remains active in the UK as well as in South Africa. 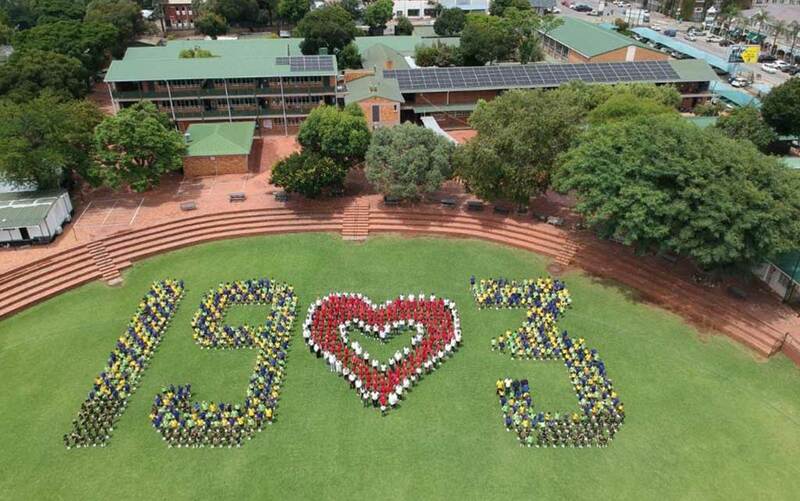 Rivonia Primary School, Rivonia Blvd, Edenburg, Sandton, 2191. Please contact us for recommendations for convenient accommodation, should you need help with that, but if you zoom in on the map above, you should find some suggestions. This 4-day (30 hour) workshop was developed in USA in the nineties and it is an introduction to the basic theories, principles and application of all the procedures described in Ron Davis' best-selling book The Gift of Dyslexia. If you are a therapist or a councillor and you have clients you suspect might have dyslexia, this workshop is for you. Thom Hartmann, author of ADD, a Different Perception and The Edison Gene. Things are going so well with my son, I want to cry every time a hear him read. I'm am using the clay letter in both of my ECD centres Gr R groups, as well as the dial and koosh balls. The kids enjoy it and parents are very excited because of the changes they observe in their children. We had a workshop, showing the parents how we implement the Davis into our program, and now we are on the roll. The little ones with very limited language are starting to learn letters and speak English - the progress is unbelievable. Thanks: This workshop was one of the best investments in my life. My dyslexic son shows big progress just by being able to bring his focus back. We had limited time with school work and exams, so all we've done so far is the orientation counselling and fine tuning. My mom looked at his work about a week back and couldn't believe her eyes. His handwriting has improved, as well as his spelling and reading. During the June/July holidays we are going to do the whole program. I did the same with my other son (12) and he got 90% and above for all his tests and exams. His he use to score between 70 and 80. He is so happy because he always wanted to be in the top 10 in his grade and now it look like he is finally going to achieve his goal, in his last year of primary school. [My daughter] progressed over a period of 2 years from a below average straggler to the top English student in her grade 7 year. [Her] latest assessment “labelled” her with HIDDEN DYSLEXIA. In her latest results she attained top of her class in three subjects as well as an 87% average for English. After completing this workshop, you can use all the procedures in your existing work, or free of charge working with friends and family. If you want to offer your services as a Davis professional, the full Davis Facilitator training is needed, and then this workshop would still be your first step. Given sufficient interest, DDAA will offer the full training over the course of 2017 in South Africa, at the total cost of R170,200. Below is a proposed timeline, but we do have some flexibility to take each trainee's requirements into account, as the ideal number of trainees is is only.